Undecylenic Acid (C11H20O2) is a natural or synthetic fungistatic fatty acid, antifungal .That is, it is a compound that inhibits the growth of fungi. It is a fatty acid that may be synthetically manufactured or extracted from sources in nature. It is prepared via the distillation of castor oil. Undecylenic Acid is used topically as a zinc salt in various creams against fungal infections, eczemas, ringworm, and other cutaneous conditions. The zinc provides an astringent action, reducing rawness and irritation.Undecylenic acid is also known as 10-undecenoic acid. It is approved by the FDA for topical administration and is included in the official Inactive Ingredient Database. Undecylenic acid is found in black elderberry. Undecylenic acid is a flavouring ingredient. 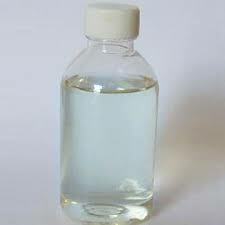 Solubility Practically insoluble in water, miscible with Alcohol, Chloroform, Ether, Benzene, etc.